A visit to the Summit Metro Parks’ Nature Realm helped lift me from my dark mood today; sometimes getting out into a serene natural area can help. Rains last night had wet the woodlands of the park area, subdued light, and absence of park visitors — along the earthen trail — made for a soothing environment. Birds sang their songs in the canopy of trees whilst, in the understory, chipmunks and squirrels scurried about. 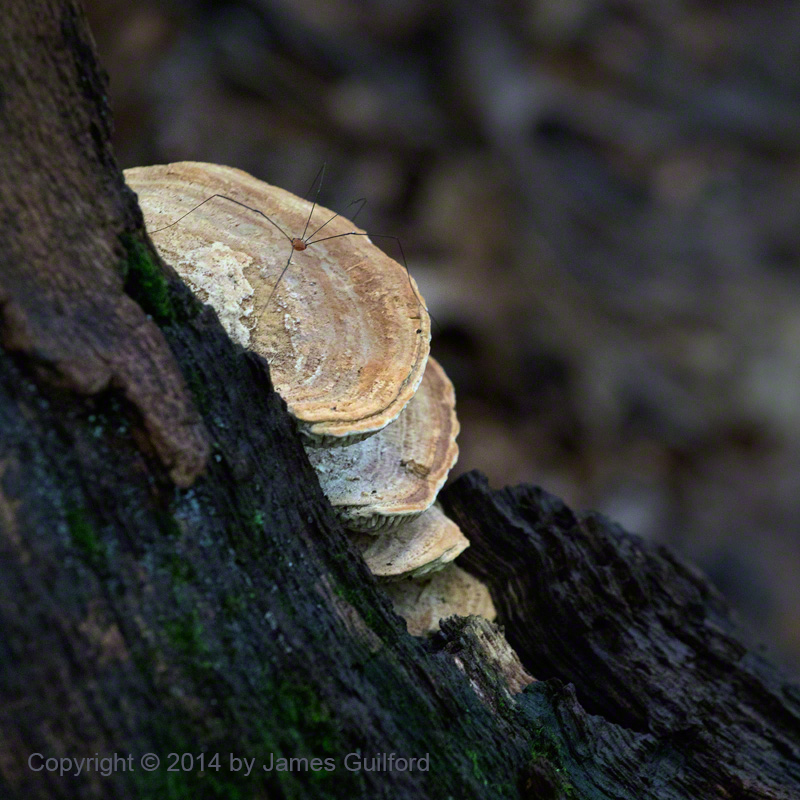 The warm damp provided perfect conditions for varieties of fungi to grow on fallen tree trunks. The peace and beauty of the place crept inside, imparting some relief from the disappointments humanity has dished out over the past few days in national and world news. In the dark woods I tried some experiments employing my camera’s high ISO capability. My image of a Harvestman (“Daddy Longlegs”) on a shelf fungus was shot, handheld, at ISO 8,000 at 1/125 second! Viewed at 100 percent, grain is easily visible in the photo but smooth and subtle enough to make for a good photo at smaller sizes. 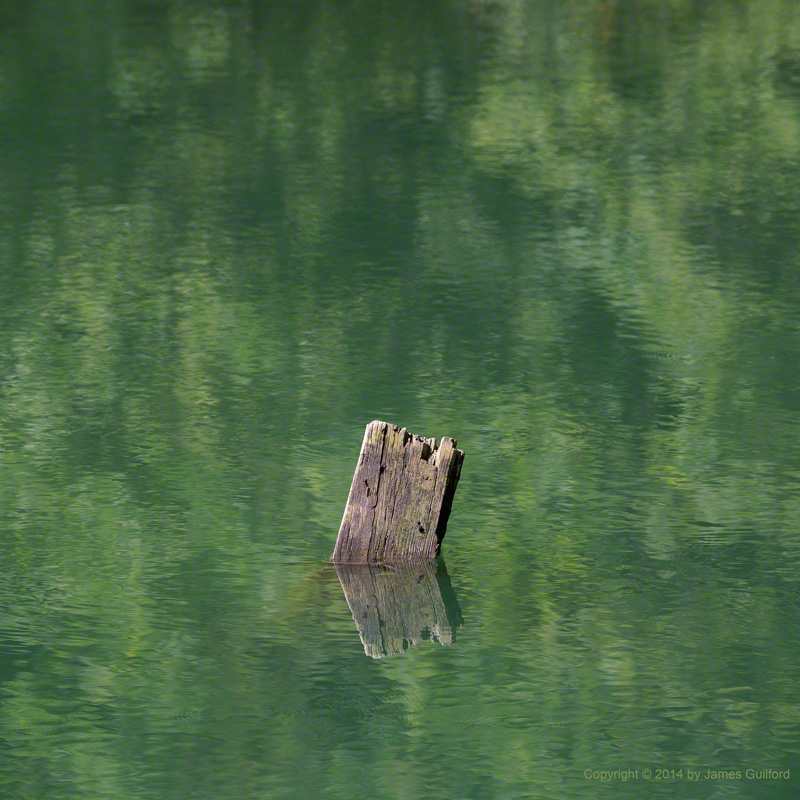 The “Green Wood” picture took advantage of pond water that was already a seemingly unnatural green reflecting the green of shore plants around a submerged chunk of wood — a picture I’m very happy with. That was at a more conservative ISO of 250.